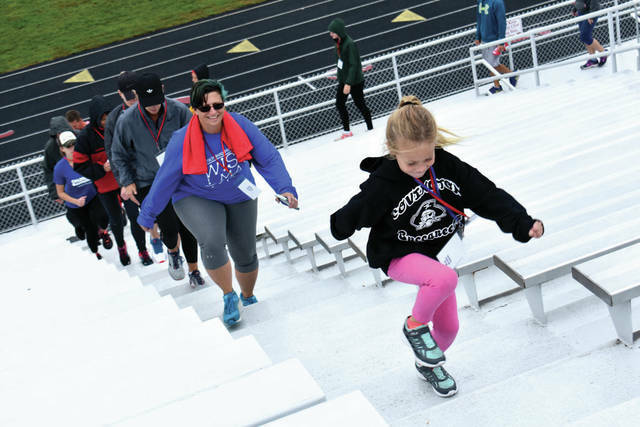 Cody Willoughby | AIM Media Ellie Campbell, 6, of Piqua, leads a parade of participants up the bleachers during the Freedom Climb on Sunday at Troy Memorial Stadium. Cody Willoughby | AIM Media Participants of all ages take to the stadium track to complete four laps during the Freedom Climb on Sunday at Troy Memorial Stadium. Cody Willoughby | AIM Media Ashtyn Wilson of Piqua, leads a group of participants on a descent down the bleachers during the Freedom Climb on Sunday at Troy Memorial Stadium. TROY — Hundreds of Miami County residents braved scattered showers to come together in remembrance of the nearly 3,000 lives lost on Sept. 11, 2001, during the second annual Freedom Climb at Troy Memorial Stadium on Sunday. Stutz described the event as a way to maintain pride among Miami County residents in their country and in first responders everywhere. 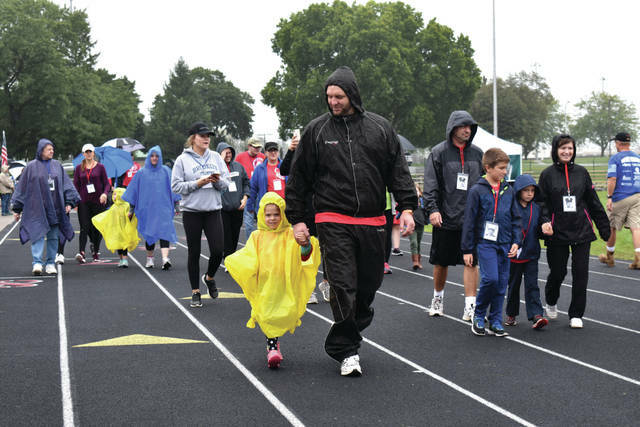 https://www.dailycall.com/wp-content/uploads/sites/30/2018/09/web1_Climb1.jpgCody Willoughby | AIM Media Ellie Campbell, 6, of Piqua, leads a parade of participants up the bleachers during the Freedom Climb on Sunday at Troy Memorial Stadium. 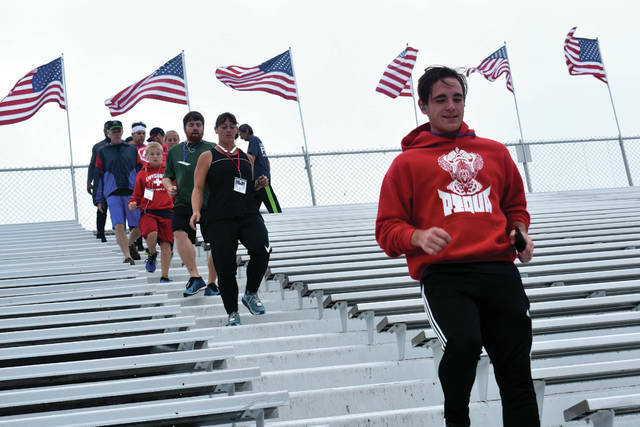 https://www.dailycall.com/wp-content/uploads/sites/30/2018/09/web1_Climb2.jpgCody Willoughby | AIM Media Participants of all ages take to the stadium track to complete four laps during the Freedom Climb on Sunday at Troy Memorial Stadium. https://www.dailycall.com/wp-content/uploads/sites/30/2018/09/web1_Climb3.jpgCody Willoughby | AIM Media Ashtyn Wilson of Piqua, leads a group of participants on a descent down the bleachers during the Freedom Climb on Sunday at Troy Memorial Stadium.